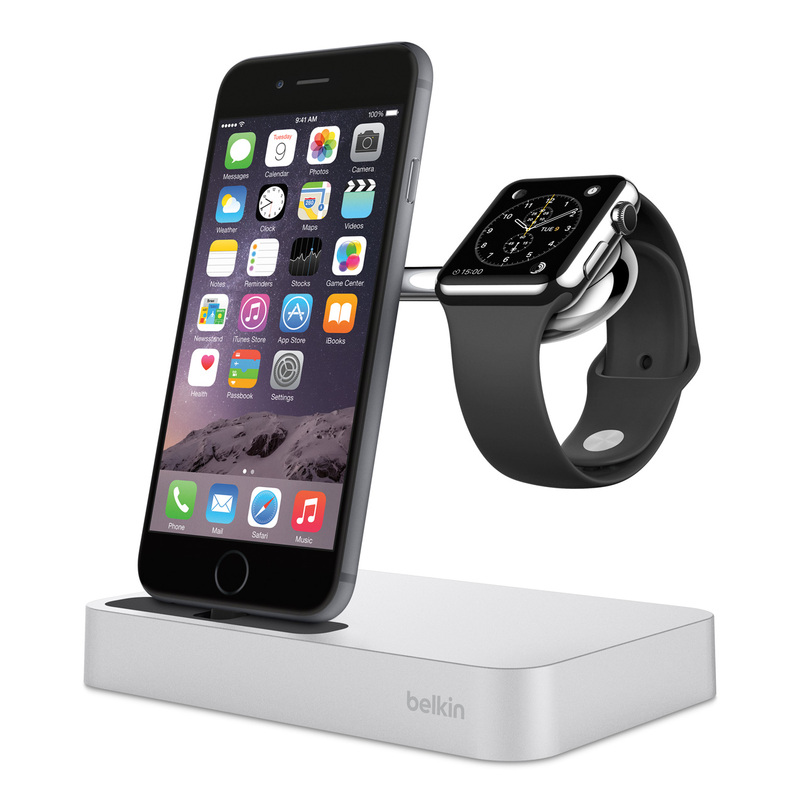 Playa Vista, Calif. – October 6, 2015 - Belkin®, the market leader in smartphone and tablet accessories, today announced the first-of-its-kind Belkin Charge Dock for Apple Watch® + iPhone®. 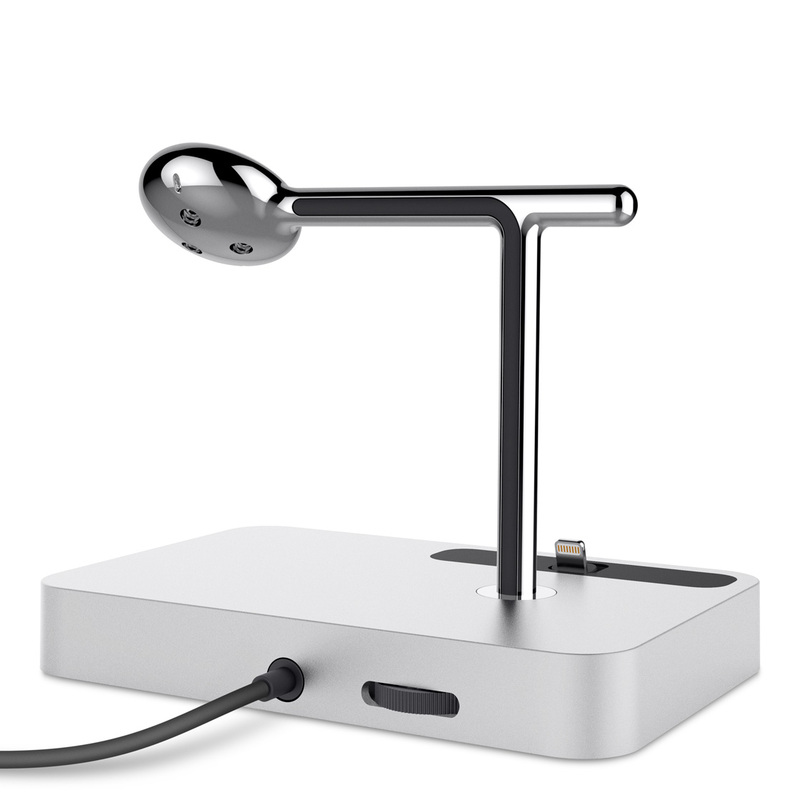 Developed closely with Apple, the Belkin Charge Dock features an integrated magnetic charger for the Apple Watch and a Lightning connector for an iPhone. 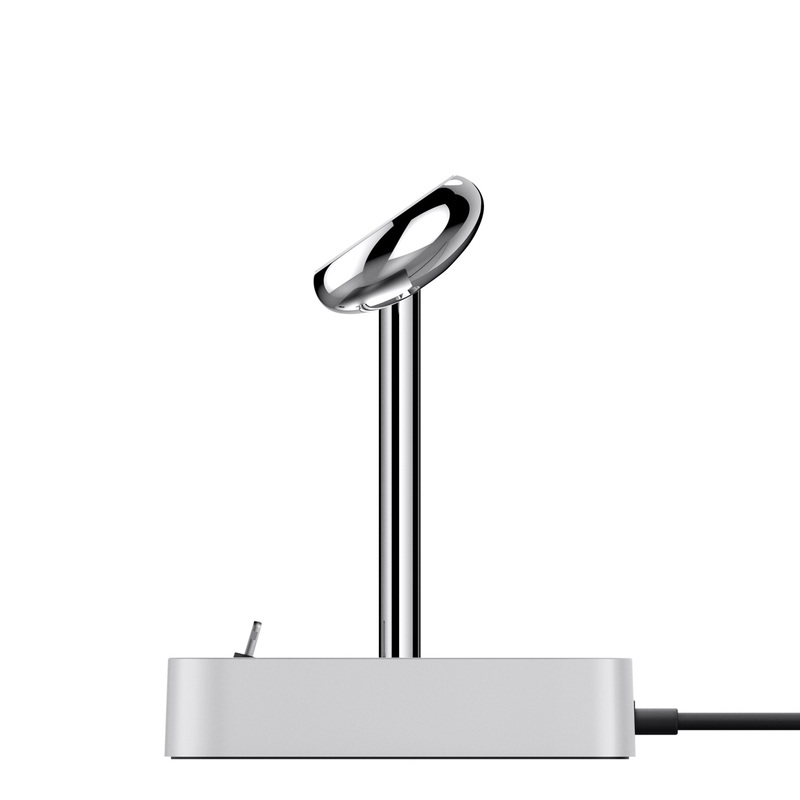 The new Belkin Charge Dock safely and securely charges both the Apple Watch and iPhone. Designed with adjustable dial on the back of the dock, it conveniently lowers and raises the Lightning connector to fit the iPhone with a variety of cases. 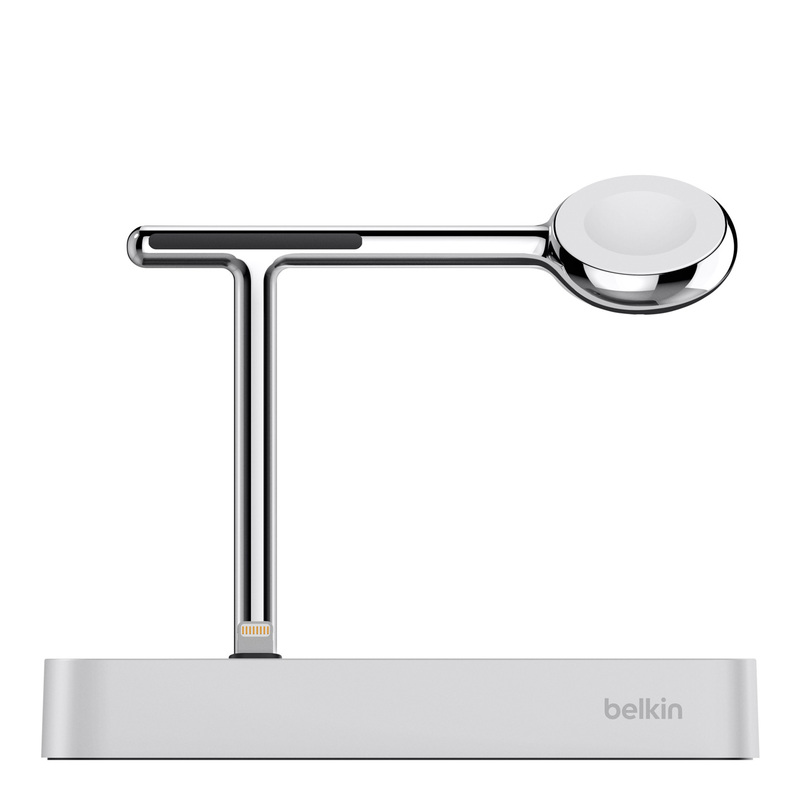 "Belkin is proud to introduce a charging solution in which we collaborated with Apple to ensure that the functionality and design aesthetically fit within the Apple ecosystem, while also serving as an elegant stand to display and conveniently store and charge both devices" said Melody Tecson, Director of Product Management at Belkin. The Belkin Charge Dock for Apple Watch + iPhone features a cast metal arm with chrome finish that securely holds the Apple Watch at a perfect angle for visibility and easy access, while the weighted metal base adds stability when the devices are docked. The Charge Dock's sleek finish compliments your devices, and its compact size effortlessly blends in on any desk or bedside table. The new Belkin Charge Dock for Apple Watch + iPhone (F8J183) is available now for an MSRP of $129.99 on Belkin.com, and is sold exclusively at Apple.com and Apple retail stores.